ISLAMABAD -- A political party opposed to U.S. drone attacks in Pakistan revealed what it said was the name of the top CIA spy in the country on Wednesday and called for him and the head of the agency to be tried for a recent missile strike. 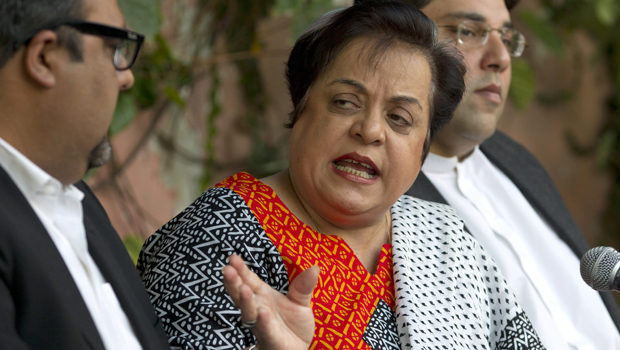 Shireen Mazari, the party's information secretary, called for the station chief and CIA director John Brennan to be tried for murder and waging war against Pakistan in connection with a recent drone strike in northwest Khyber Pakhtunkhwa province. She claimed the station chief did not enjoy diplomatic immunity. The attack on an Islamic seminary in Khyber Pakhtunkhwa's Hangu district on Nov. 21 killed six people, including a senior leader of the powerful Haqqani terror network, Afghan intelligence and militant sources told CBS News. It was one of the only strikes ever to take place outside of Pakistan's remote tribal region. The Pakistan Tehreek-e-Insaf party is led by cricket star Imran Khan, who has been an especially vocal critic of drone strikes. He and other Pakistani officials publicly criticize the strikes as a violation of the country's sovereignty, although the government secretly supported some past attacks. The CIA pulled its top spy out of Pakistan in December 2010 after terrorists threatened to kill him. The threat came after a Pakistani lawsuit accused him of killing civilians in drone strikes. The lawsuit listed a name lawyers said was the station chief, but the AP learned at the time it was not correct.